This instrument is ultra light and has wonderful playability . 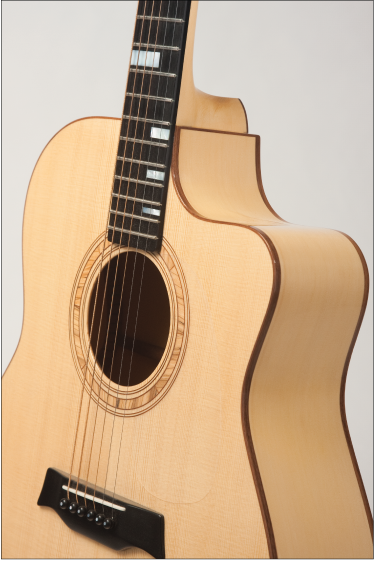 The Yellow Cedar back, sides and neck make it very acoustically responsive. The sound hole rosette is made of Spalted Maple and Walnut. 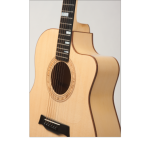 The headstock veneer and binding are both made of Walnut. The fretboard and bridge are Ebony. This guitar has a wonderful bright clear tone. 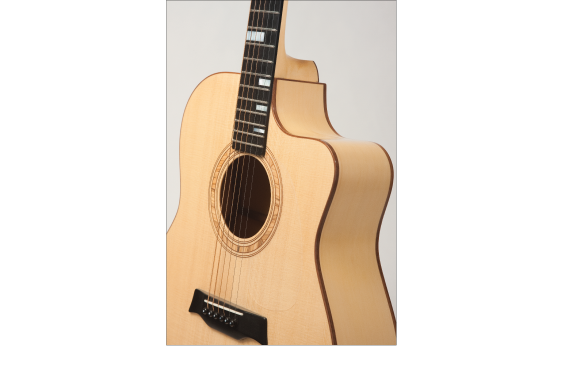 This flat top acoustic guitar is finished with nitro-cellulose lacquer.